Details: I upgraded the Fiedler HVAC logo first, in order to create some direction and style preferences for the new website and future marketing. The goal is always to serve the brand and company first. Sometimes, this involves uplifting the entire brand’s assets and the logo has got to be solid first. 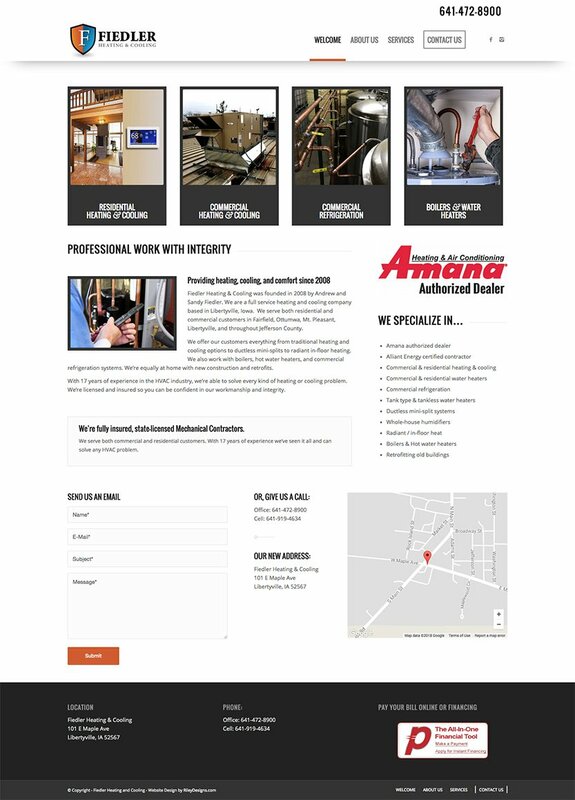 View the live site at https://fiedlerhvac.com/.